Protect your smart Bluetooth speaker with this cool-looking acrylic and aluminum stand. 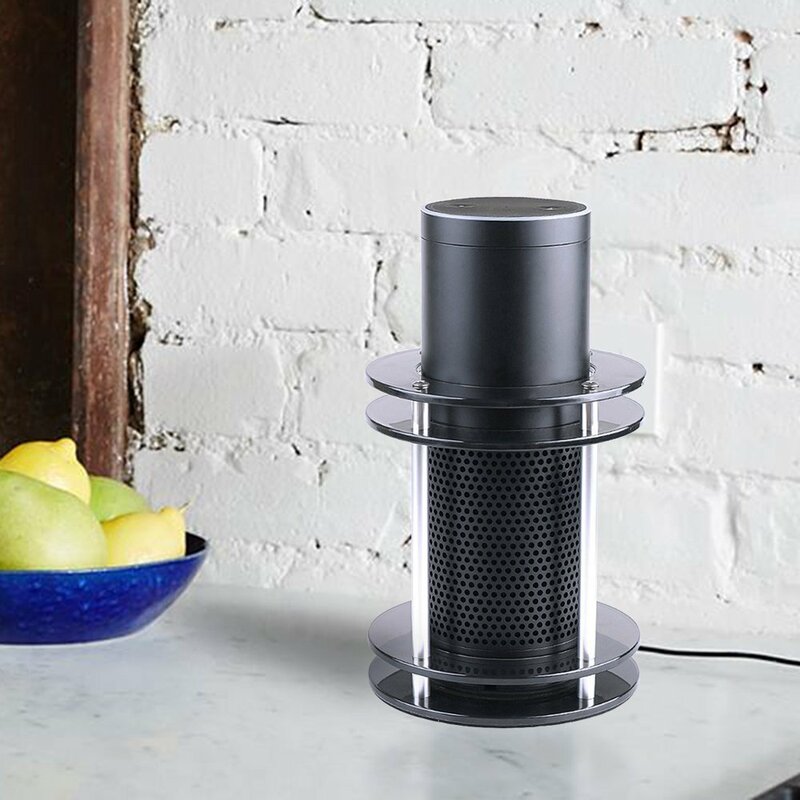 By giving your bluetooth speaker a wider, non-slip base, the Foxnovo stand makes it less likely to be knocked over. And by surrounding the speaker with acrylic ribs, this base will protect the speaker from most falls, even if it's knocked off a shelf or table. This stand is easy to assemble in just a few minutes using the included screwdriver. The sleek acrylic rings give it a great futuristic look, and the stand doesn't interfere with the sound coming from the speaker or its ability to hear spoken commands. 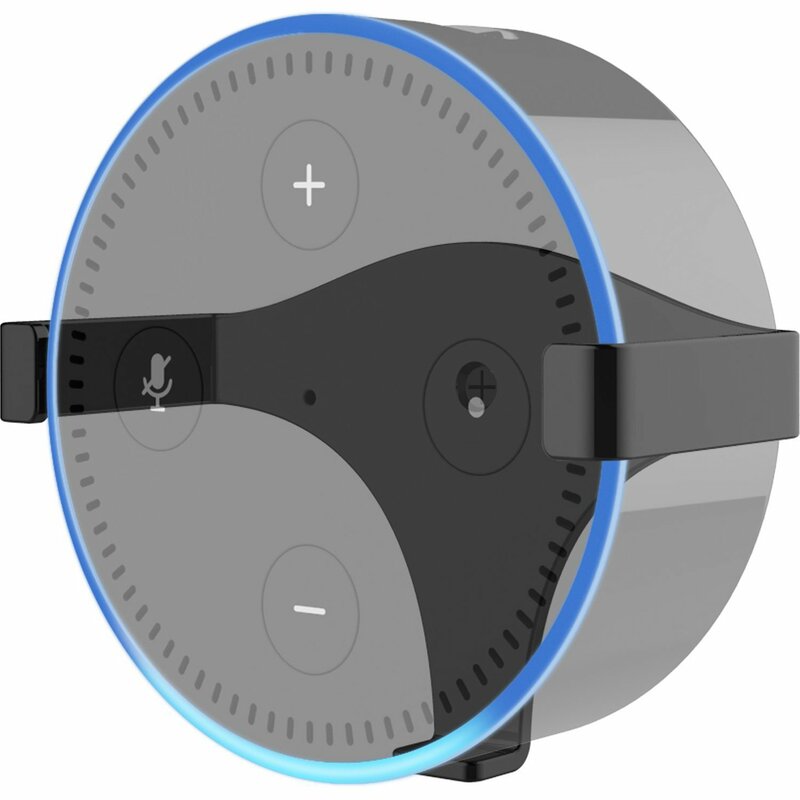 For the low cost of this stand, you'll have some sturdy and reliable protection for your friendly and useful electronic pal "Alexa." It's something you'll especially want to get if you have kids in the house, or if your wireless mobile bluetooth speakeris usually put in some vulnerable area like a kitchen counter. Order today and protect your speaker investment! 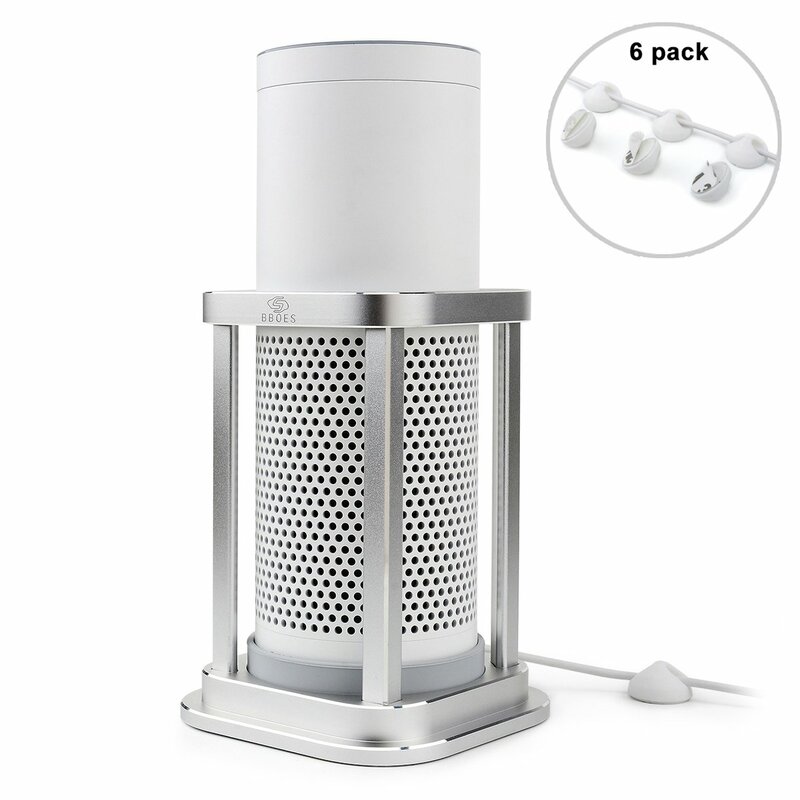 Note: This stand also fits these other Bluetooth speakers, giving them the same protection benefits: UE Megaboom, JBL Charge 2, JBL Charge 2 Plus, JBL Pulse, and JBL Pulse 2. Package Includes: 4 x Aluminum alloy rods 4 x Acrylic frame rings 1 x Sponge pad 4 x Rubber feet 8 x Screws 1 x Screwdriver This Foxnovo product is sold with a full one-year money-back guarantee. If you're dissatisfied with your purchase for any reason, contact us for a replacement or refund. 1. Features & Advantages. -- Premium Japanese PET Film Material. High Definition Matte material, different from ordinary matte film with obvious pixel, enjoy your visual feast. -- Anti-Glare To be legible even under the strong sunlight, anti-reflection and anti-UV reducing your eye strain. -- Sensitive Smooth Gliding Provide you a natural feel with stylus writing on screen, is like writing on paper, smooth and responsive. -- Lotus Leaf Self-clean Latest Japanese nano technology, oleophobic and hydrophobic coating makes smudges and dirt are not easy to stay on the screen protector surface. -- Easy Application Bubble-free application, Unique Hinge Install Method With Kits. -- Eco-friendly Product Made of environment-friendly materials, application kits can recycle to be used. 2. Life-time Warranty You are entitled to have the products replaced if the products fail to be of acceptable quality. You are supported with professional and efficient product & after-sales service guaranteed by iCarez. Care mobile, Care you more. 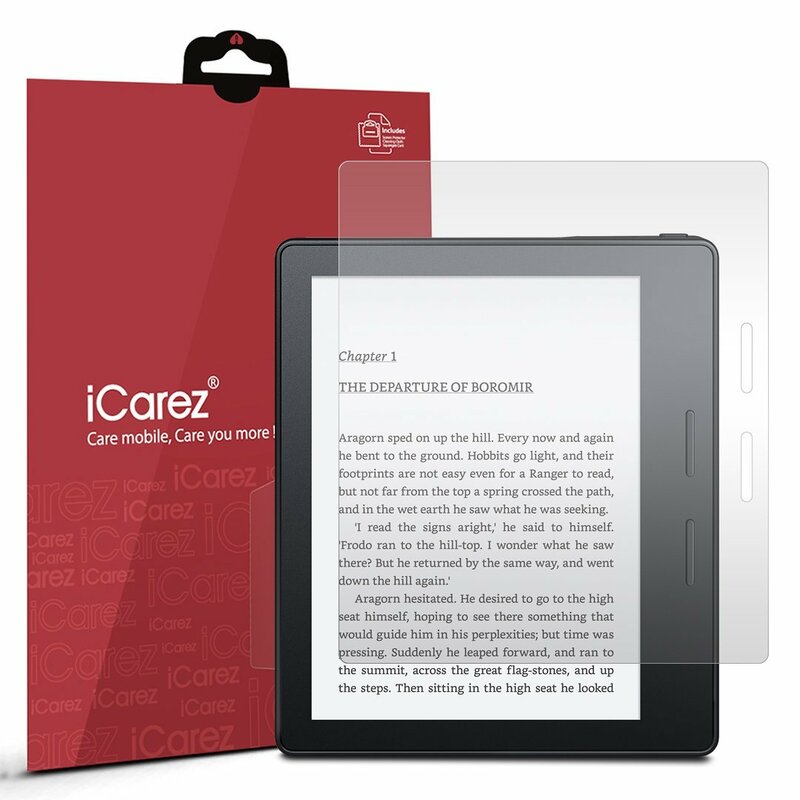 iCarez commits to making considerate and premium protection for your mobile device, caring so much about your health and happy life. Experienced by over 10 millions users, our product has won good reputation and recognition. iCarez cares what you care, even more than what you care. It is extending to everyone around the world. Our motivation comes from your satisfaction! 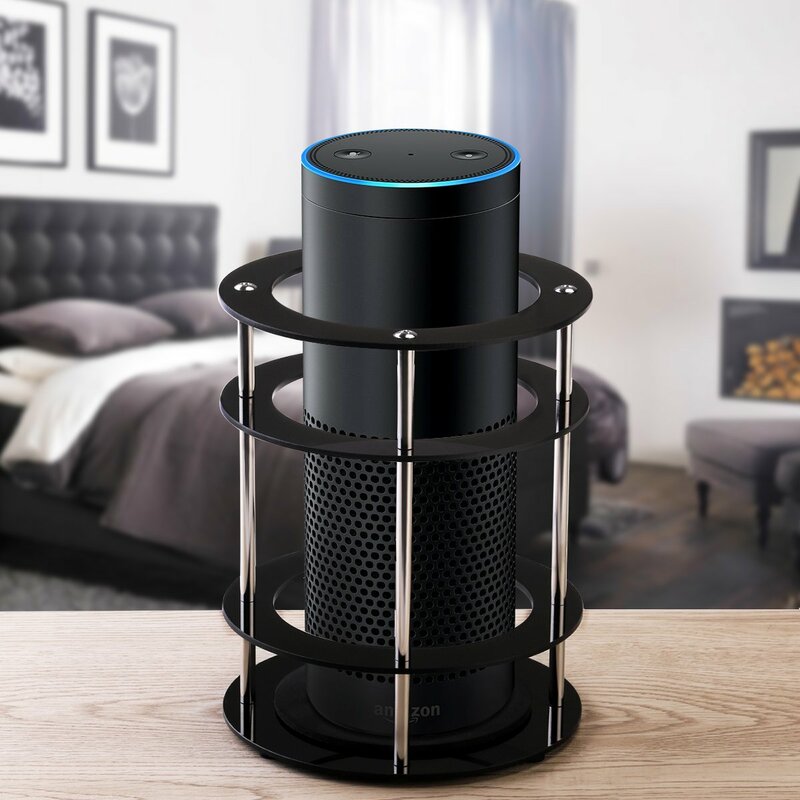 Keep Alexa close by with the Snillingur Echo Dot Speaker Stand that looks great on nightstands, countertops, desks and more. Amazon gave us one of the most useful and innovative products in the world when they created Alexa, and now, with her small Echo Dot family, you can enjoy her all over the house with ease. 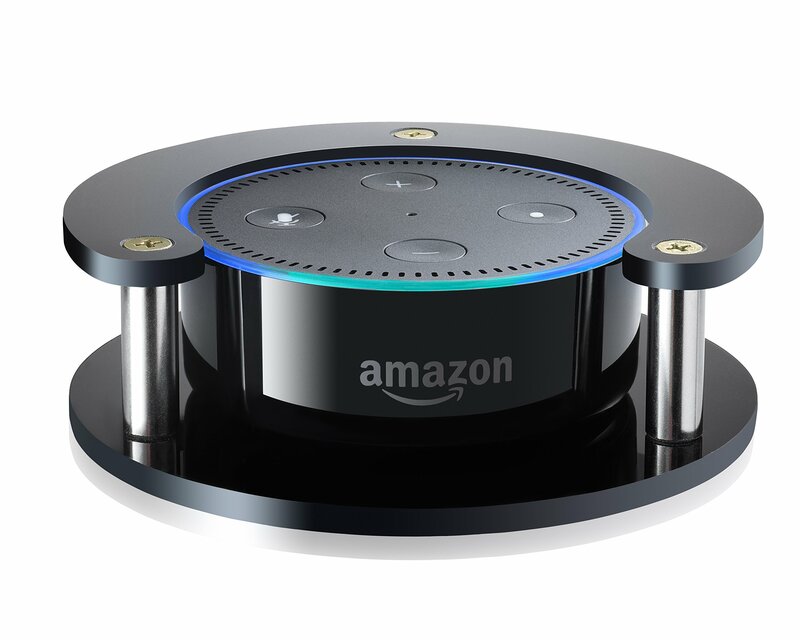 That's why we created the Snillingur Echo Dot Speaker Stand designed to keep the cylindrical little speaker stable and protected while resting on your tables, counters and bedroom dresser. Improved Stability and Proper Sound Quality By securing your Echo Dot in our unique, precision-fit speaker stand, you can help protect is from scratches or bumps due to living room dance parties, rowdy kids, or mischievous pets. What's more, it's a seamless fit so as not to rattle, shake or impact sound quality so you can listen to audio books, music or NPR radio with crystal clear perfection. 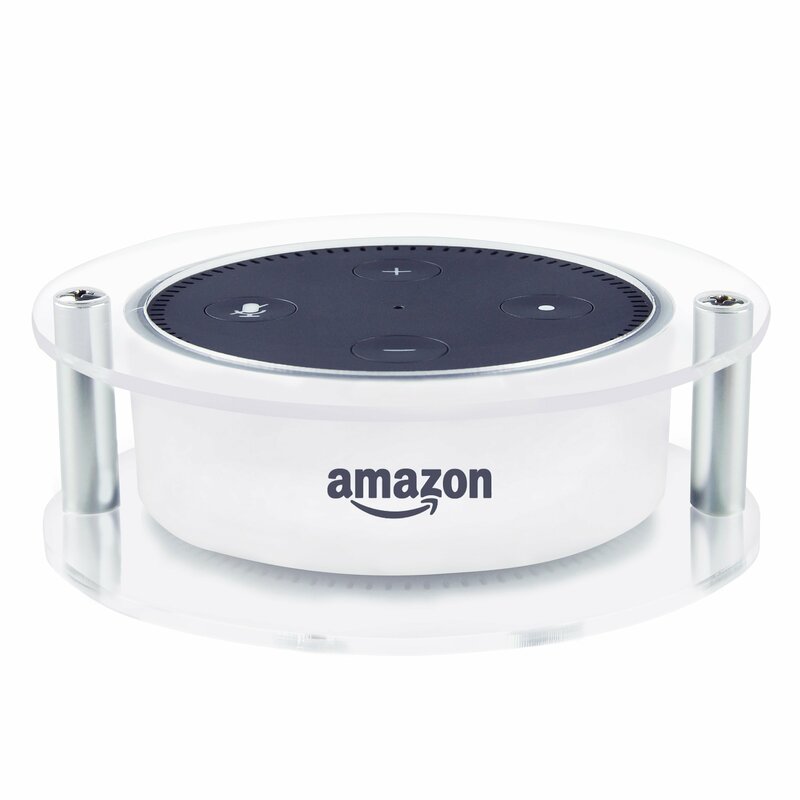 Product Details: Premium-Grade Acrylic Frame Precision, Form-Fitting Design Color: Black Lightweight Easy to Install Satisfaction Guaranteed Click 'Add to Cart' now to get them for your home and protect the Echo Dot's all over your home or office. 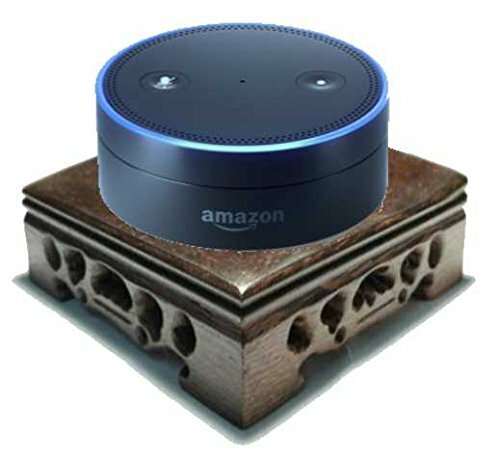 FitSand Crafted Owl Statue Guard Stations are Echo Dot's Best friends. 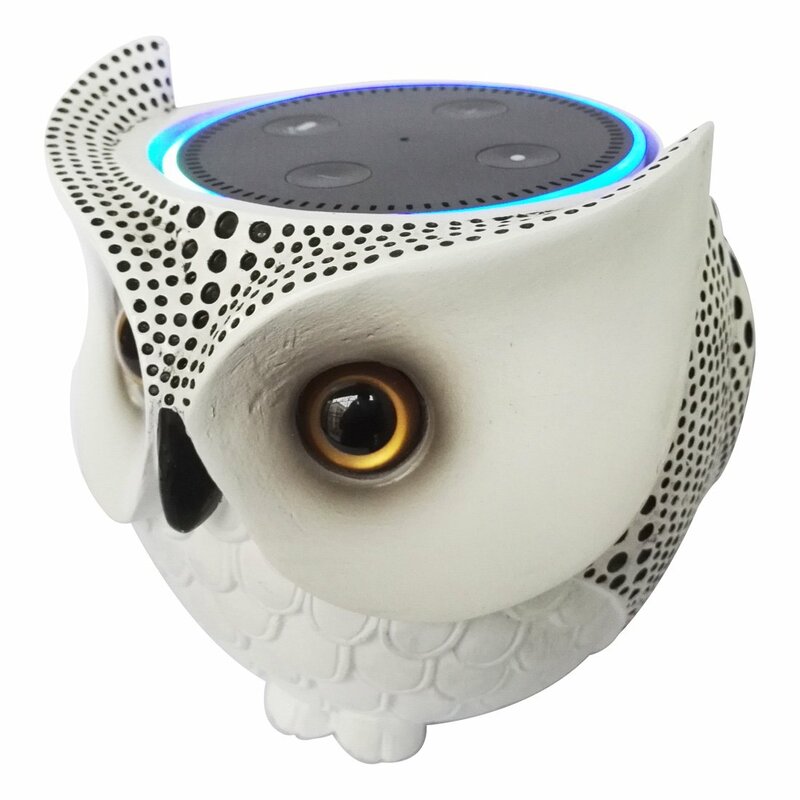 Crafted Owl Shape Statue guard station are Uniquely designed for the Echo Dot.,Excellent Home Decor For You. Easy to Install or Remove your Echo Dot in station, Free to Not effect the sound track from Echo Dot speaker. Polyresin Sturdy stander base,To prevent the Echo Dot speaker knock over from Pets and Kids. protect your investments Perfectly. Easy to Plug the Power Micro USB and Audio output cable. Do you afraid your Echo'd be knocked over by little kid or nosey cat? Aobelieve stable stand can help you solve that problem in a very attractive way. Extra Protection and Stabilization Made from high-quality acrylic and aluminum columns supporting and fix by stainless steel screws. With anti-slip EPE foam, Aobelieve speaker stand provides a lot extra protection and stabilization for Amazon Echo without effecting the way it functions. That will be a good investment if you have kids or pets and are worried it could get knocked to the ground. Style your Home Aobelieve new generation speaker stand, with sleek design and clear acrylic circles, you can make your Echo fit with any space and decor. Make it look a little different than everyone else's. 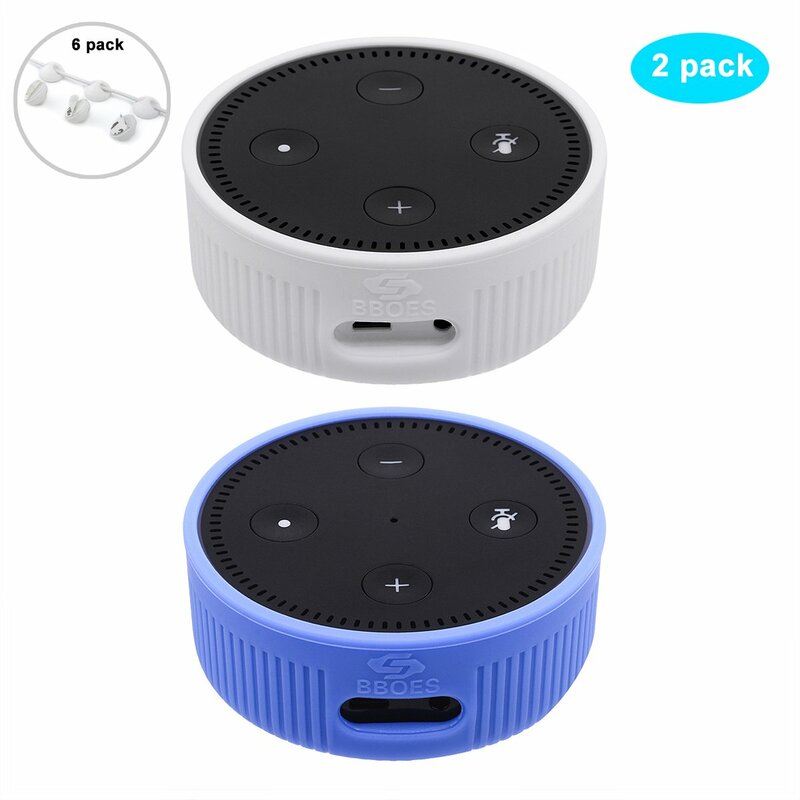 Compatible with: Amazon Echo, UE MEGABOOM (It's oversize for Amazon Tap) Package Included For shipping convenient and safe, you will receive the unassembled Stand parts (Acrylic circles, aluminum alloy columns, stainless screws). We provide a special screwdriver and installation guide in the package, just takes a few minutes to install it.